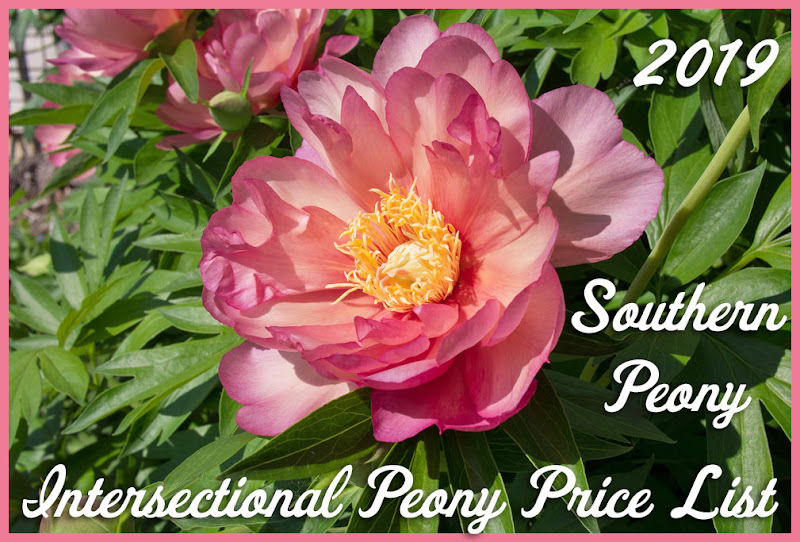 There were several beautiful peonies on the Court of Honor this year, but I think my favorite was Peony 'Coral Sunset'. 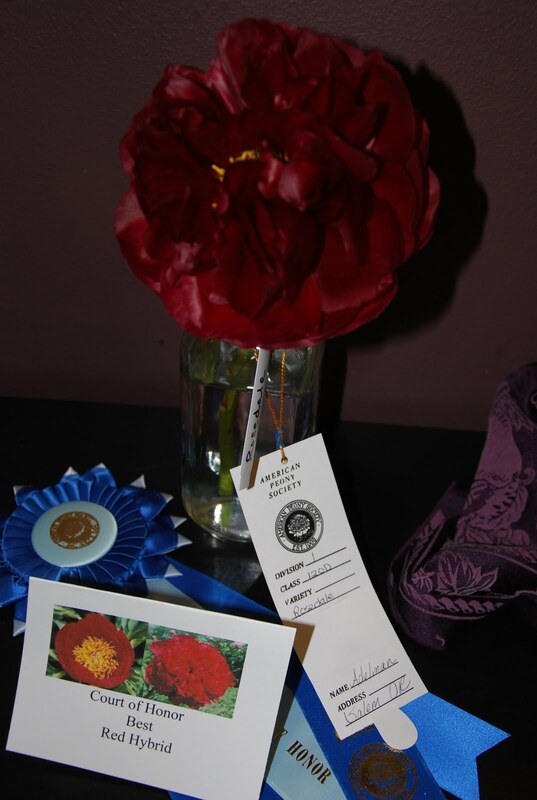 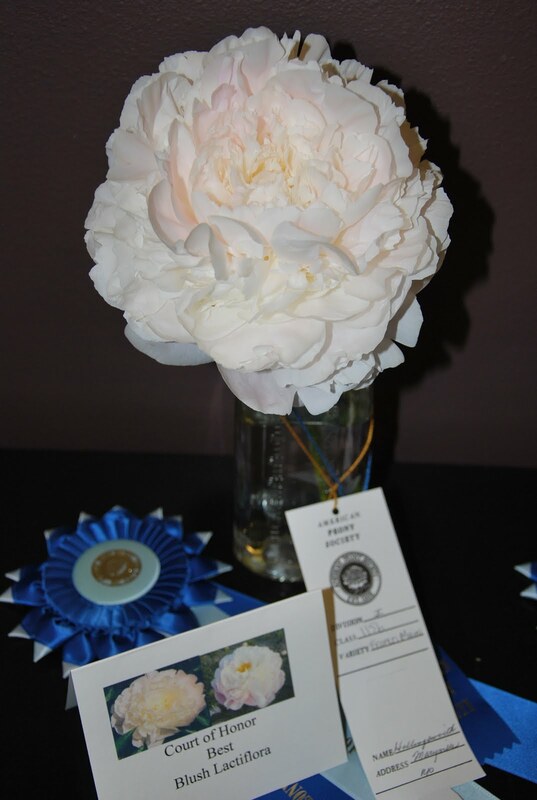 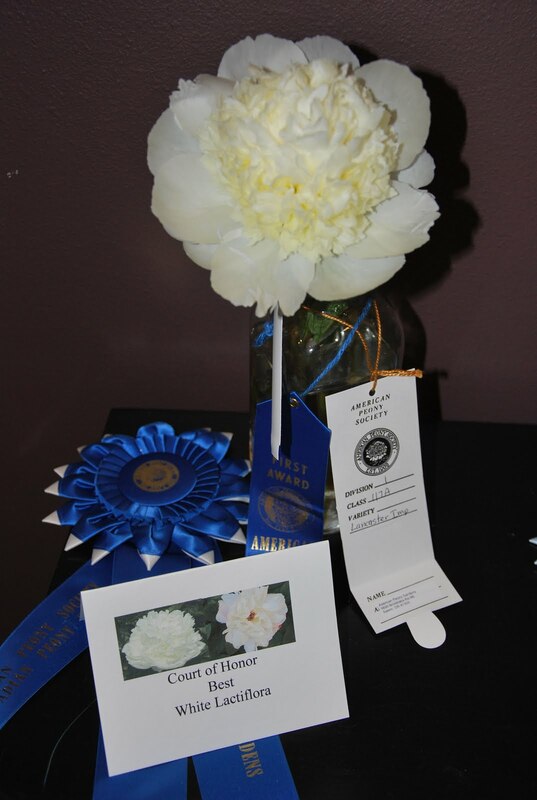 Only one peony made it to the Court of Honor from the amateur class, Peony 'Bartzella'. 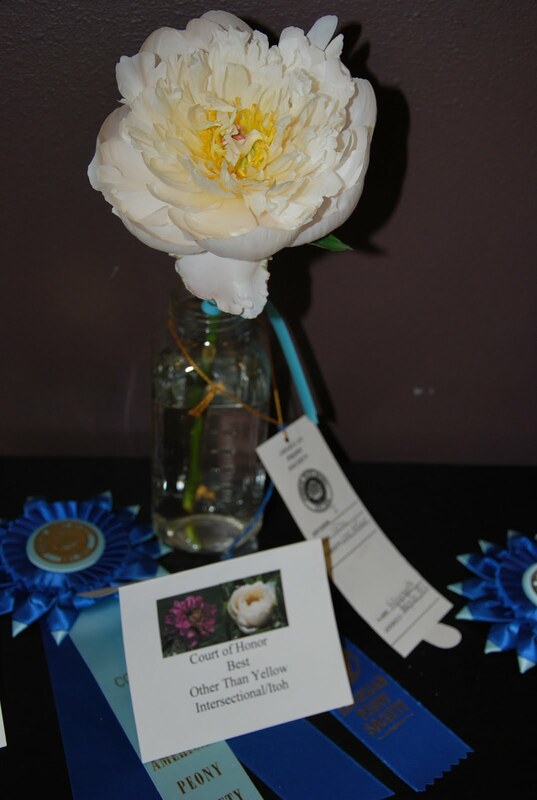 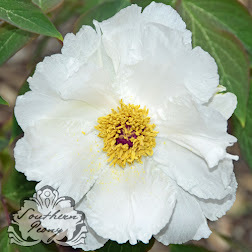 There were so few entries into the tree peony category that only two of them made it to the Court of Honor, Peony 'Waucedah Princess' and Peony 'Tria'. 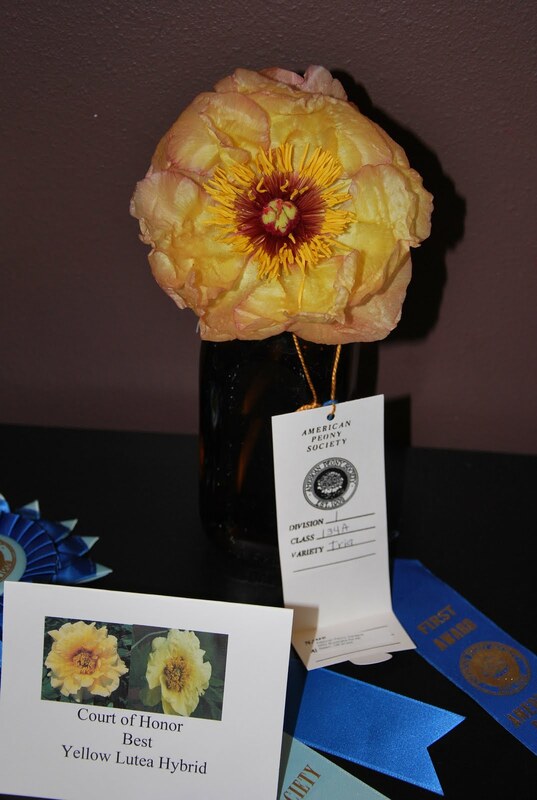 Actually there were very few tree peonies in the whole show. 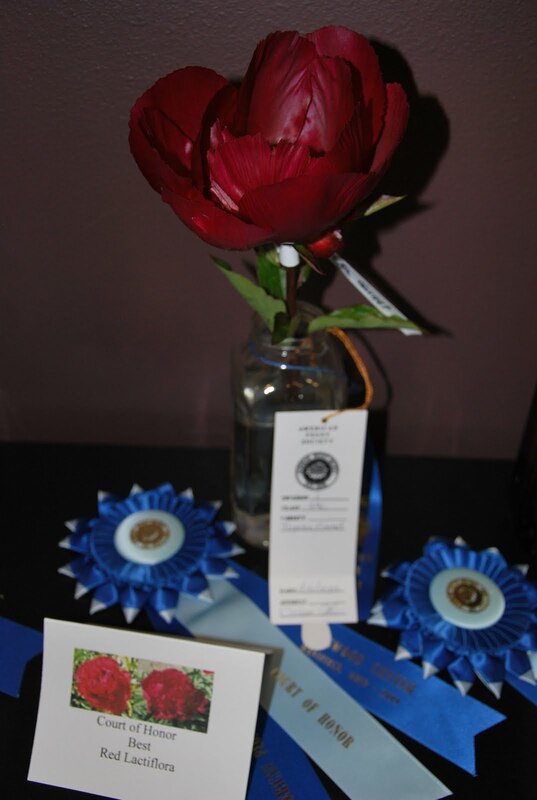 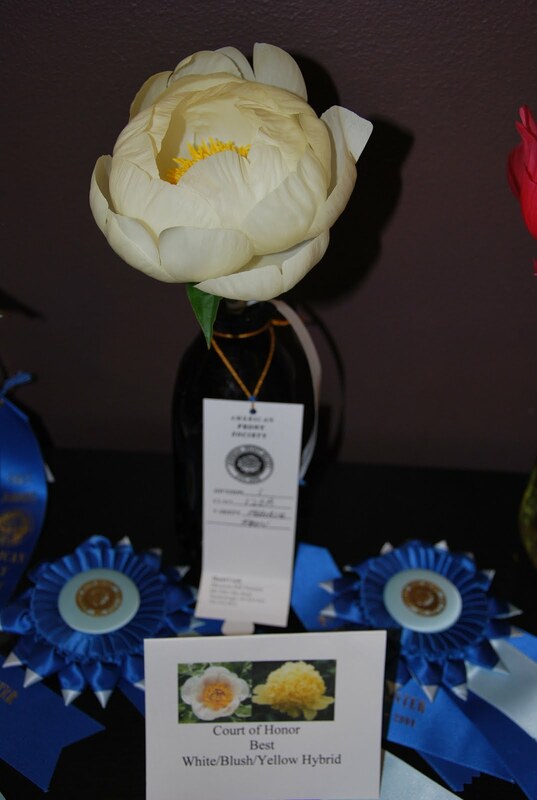 Some tree peony categories had no entries. 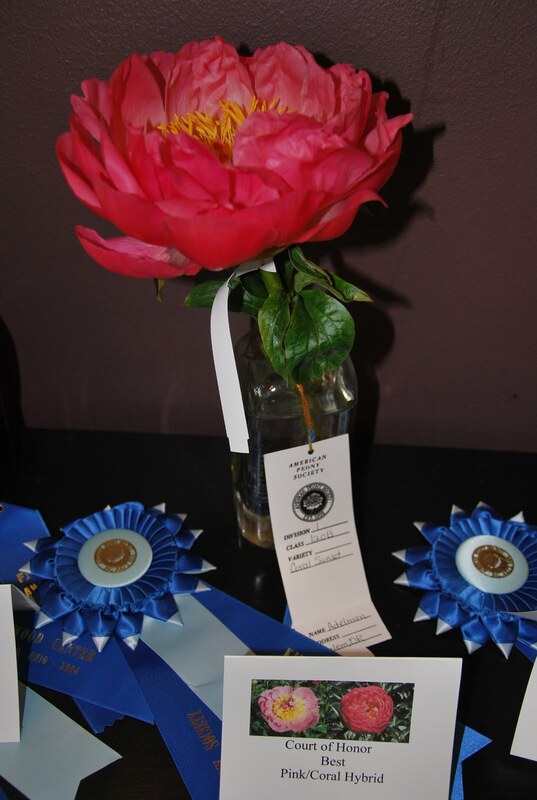 So anyone interested in showing tree peonies should enter next year since there is very little competition. 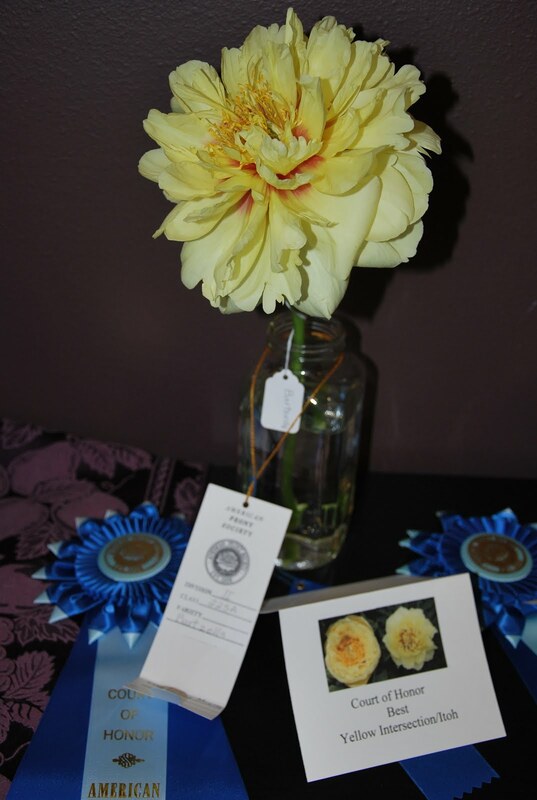 Peony 'Lancaster Imp' Peony 'Frances Mains'? 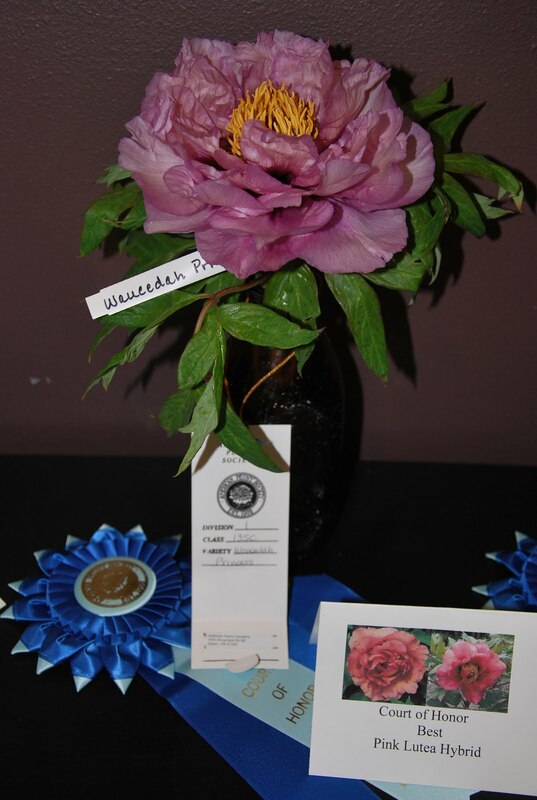 Peony 'Topeka Garnet'?